There are many dog tricks to learn from here. 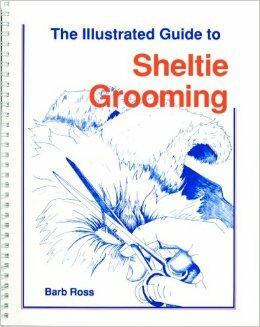 This is my Sheltie Grooming manual. We are fortunate to have this group of doggies’ friends’ pawrents that are willingly to share their experience and knowledge to one another. They are wonderful buddies. Recently, they had created a dropbox in order for them to share everything about usssss doggies. One of the articles has really attracted my mummy to start reading within days is “The Sound of a Language”. She wanted to learn more and more in order to communicate with us. Great mom!! It talked about the communication with the dogs. 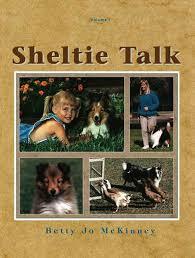 As everybody know, we (dogs) usually communicate through body language (calming signal) and barking. By seeing the word ‘barking’, it has automatically linked up with the word ‘aggression’. The first reaction for many people is to stop us from barking either verbally or physically, whether it a good barking or a bad barking. Such reactions done are based on a lack of knowledge about dogs’ barking and people tend to over-react it by yelling or punishing the dogs. By doing this, it will create negative effect from what was intended. After mummy had read the whole manual, she has more or less understood that we (dogs) usually express our needs and emotion through vocal sounds and body language. 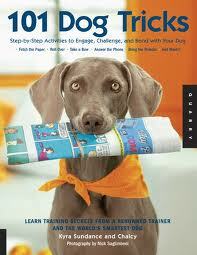 In order to understand us, they need to interpret what are we (dogs) trying to communicate. TIPS: Please do not punish your dog for barking as it is natural for them to do so. Think about this, human do angry n fear, so are dogs. Human do shout and yell, dogs replaced by barking. What sounds do we make? What are the different types of barking? Mummy always said that I (Baileys) tend to bark at other dogs because I love to wag my tail when I met one. She said this is an excitement barking. This type of barking is generally pleasurable to experience. But however, it can also create a certain level of stress as it will cause me to feel frustrated when I can’t sniff at them. What will I do instead? Well, my muscles are full of adrenalin that cause me to move around and it is impossible for me to keep still. On top of that, I will twist around mummy and always entangle her legs, running here and there or spinning around. If I do any of this, mummy will stay stationary at that position until I quietly sit beside her then she will move on. I have tried to remind myself but the tendencies of seeing dogs are too high. I keep forgetting it. TIPS: In this situation, calmness is the key word. Your calmness will influence the dog’s behaviour. Mummy said that the reason being barking might be either I played too much or too wildly with my doggie friends or maybe I have not met enough friends. It is called parallel walking, where we walk in the same direction with other pawrents and their babies to take away the threat and stress that meeting other dogs involved. Initially, a wide distance is a must between us then decreased gradually and also walk in the same direction in a more relaxed fashion. Let’s get started to practice.